Stay twice as happy with Double Points. Hilton Honors members earn Double Points on every stay from September 1 through December 31, 2017. Have Diamond Status? It's your lucky day! Sign up to enjoy an extra bonus offer, just for you. Offer valid September 1, 2017, through December 31, 2017 (“Promotion Period”) at any hotel or resort within the Hilton Portfolio excluding Hampton by Hilton Hotels in Mainland China. 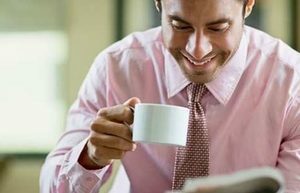 Hilton Honors™ members must first register at HiltonHonors.com/BonusPromotion prior to completing a stay within the Promotion Period. Registered Hilton Honors members will earn Double Points per stay during the Promotion Period, or Triple Points per stay during the promotion period as a Diamond member. The Double Points or Triple Points bonus will be based on tier at time of checkout. 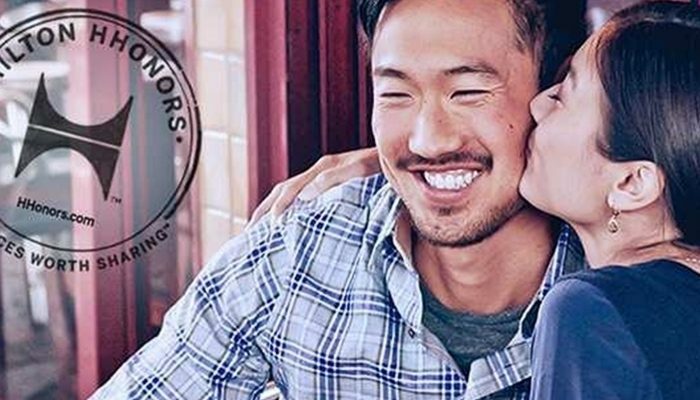 Registered Hilton Honors members will only receive Bonus Points for nights completed during the Promotion Period, regardless of a check-in date before the Promotion Period begins or a check-out date after the Promotion Period ends. There is no limit to the total amount of Bonus Points that may be earned during the Promotion Period with this offer. However, there are restrictions on the amount of Base Points that can be earned on a single stay at certain brands. See Hilton Honors Terms & Conditions for more details. Bonus Points earned on Base Points do not count toward tier qualification. Please allow six to eight weeks from completion of your stay for Points to appear in your Hilton Honors account. Hilton Honors™ membership, earning of Points & Miles™ when booking direct and redemption of Points are subject to Hilton Honors Terms and Conditions. Excludes Hampton by Hilton Hotels in Mainland China. Chicago Dibs is a time honored tradition after a snowfall with Chicagoans. And the legend goes, if you dig a parking space out, you can call “dibs,” establishing your claim to that spot. Chicagoans will use just about anything to mark their space, some more comical than others. Chairs, buckets, tree planters, card tables, and some truly innovative relics will line neighborhood streets throughout the winter season. One unwritten mainstay of “Chicago Dibs,” known by all Chicagoans – Dibs expires after 48 hours. The Drake, a Hilton Hotel has formulated its unique spin on the 48 hour unwritten Chicago Dibs rule, that puts cash savings back into your pocket with a tremendous perk packed package and over-the-top redemptions to compliment the package throughout the winter season. Be on the lookout for 48 hour exclusive offers like complimentary return stays, discounts on self-parking, room upgrades, dining credits and more when you book the Chicago Dibs package. The only catch to unlocking these additional inclusions, you must book within 48 hours. Coast into the city and take advantage of the Drive-In Package. You'll receive deluxe accommodations and save on overnight valet parking with in and out privileges. *Request promo code "RPPSG1" for Parking Savings. Limited Availability Black-out dates may apply. Offer cannot be combined with any other offer or discount. Credit card guarantee required. History aficionados will be in awe of this Drake designed History Tour & Pour experience, which includes a welcome gift bag with a Palm Court tea amenity, two drink vouchers applicable in any of our iconic restaurant & lounges, The Drake, a Hilton Hotel's "Daily Newspaper" featuring decades of stories, and a self-guided tour pamphlet with the 10 most historic stops throughout the hotel to discover at leisure. 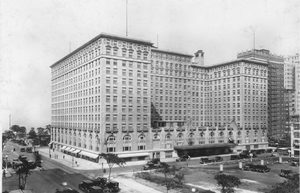 From skyline to shoreline, The Drake has become a steward of stories boasting its prominence within Chicago's history since opening on New Years' Eve 1920. Enjoy the tour and our pours! Limited Availability Black-out dates may apply. Offer cannot be combined with any other offer or discount. Credit card guarantee required. The American Girl Place® and The Drake, a Hilton Hotel have teamed up to create an original Chicago experience. Upon arrival at The Drake you will be greeted with a personalized welcome letter as well as a voucher for a Shirley Temple or Pink Lemonade in our famed restaurant. Your deluxe accommodations will include fresh baked cookies and milk with turndown service as well as a bed for your American Girl®. We will also provide complimentary internet, breakfast, and access to our library of American Girl® books. The Drake, a Hilton Hotel can also offer a personal shopper while visiting The American Girl Place® during your stay in Chicago. To set up an appointment click here. *Request promo code P8 for American Girl Savings. Limited Availability Black-out dates may apply. Get whisked away to The Drake, a Hilton Hotel for a night of romance. 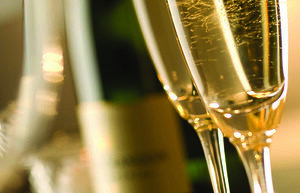 Start your evening with a bottle of champagne before spending the night on the town. In the morning, at your leisure, enjoy a delectable breakfast in the comfort of your own room with In-Room Dining options or visit our famed restaurant. *Request promo code RP for Romance Package. Limited Availability Black-out dates may apply. Save when you bundle in-room WiFi access and overnight accommodations on your next trip to downtown Chicago. 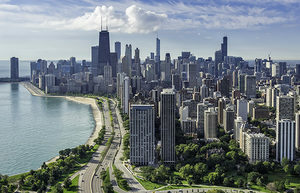 A Real Chicago Summer starts at the iconic Drake, a Hilton Hotel with direct access to Oak Street Beach and the city’s most exclusive shopping and nightlife right outside the hotel doors. Guests can enjoy breathtaking views of Lake Michigan, sip tea in the elegant Palm Court, or relax with a signature drink at the one-of-a-kind speakeasy Coq d'Or. 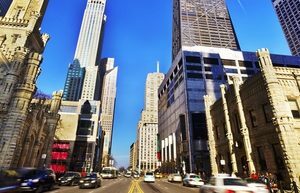 The package includes: Complimentary In-room WiFi plus overnight accommodations in downtown Chicago. *Request promo code P1 for WiFi Savings. Limited Availability Black-out dates may apply. © 2019 The Drake, a Hilton Hotel. All rights reserved.